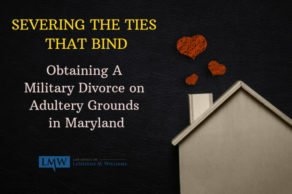 In the last 20 years, gray divorces have increased throughout Montgomery County, Maryland and Prince George’s County, Maryland. More married couples over the age of 60 have been divorcing with the divorce rate in this age group doubling between 1990 and 2010, according to a study by Bowling Green State University. 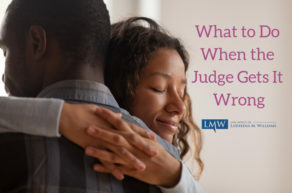 Given the frequency of gray divorce in Maryland, questions often arise regarding how to best devise a plan to mitigate the financial harm that can result from a divorce later in life. 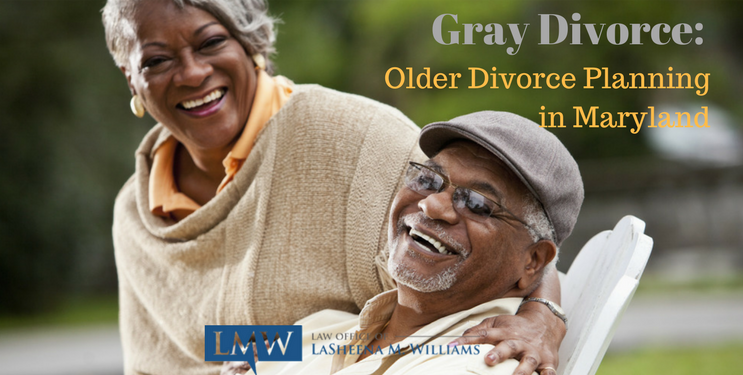 The answer to this question rests in understanding that planning for a gray divorce is similar to the type of financial and estate planning most couples over 60 engage. Given that these couples are most likely empty-nesters, divorce planning considerations related to minor children do not arise, therefore divorce planning at this stage in life is largely an exercise in financial planning. 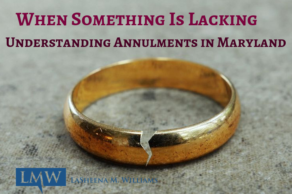 However, in a Maryland gray divorce, instead of planning for a future together, the couple is determining the long-term financial implication of divorce on financial and estate planning. 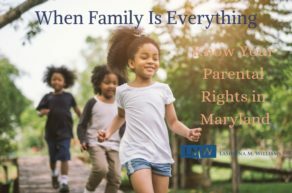 In Maryland, many couples who decide on a gray divorce, or late-life divorce, must face difficult questions regarding how to properly divide marital assets and debts that in many cases have been accumulated over decades of marriage without disrupting long-term financial and estate planning goals. One of the most common areas of uncertainty for older divorcing couples in Maryland involves figuring out how retirement and investment accounts will be treated in the divorce. As a rule, retirement and investment accounts are considered marital property and are subject to equitable distribution, if the account was acquired during the marriage. However, any retirement or investment account acquired before marriage may not be subject to equitable distribution, even if the value of the account increases during the marriage if the increase in value can be directly traceable to the portion acquired before marriage. Older divorcing couples in Maryland should understand how dividing these assets will impact long-term financial and estate planning. In the case of long-term marriages where one spouse may not have the ability to reenter the workforce due to a lack of experience or the fact that the job opportunities for those entering the workforce over 60 may be limited, the disadvantaged party may be entitled to alimony payments in order to allow them to gain financial independence. 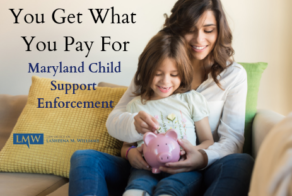 Ultimately, Maryland circuit court magistrates and judges will apply several factors to determine an alimony award, including the length of the marriage, the health of the parties, and the ability of the party seeking alimony to support his or herself. 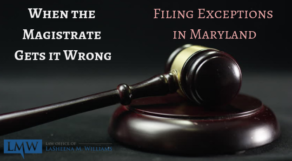 Estate planning represents another important consideration in a Maryland gray divorce particularly if the ex-spouse is named as a beneficiary in life insurance policies, named as a beneficiary in their ex-spouse’s will or is listed as a power of attorney on any advance directives. Therefore, in order to ensure an estate plan remains true to the testator’s wishes, it is important to revise any estate planning documents to reflect the change in marital status. 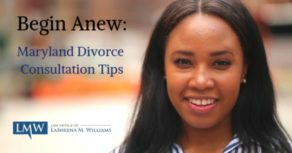 If you have other questions or concerns about Maryland gray divorce planning or older divorce planning in Maryland, please contact The Law Office of LaSheena M. Williams, LLC today. You can reach attorney LaSheena M. Williams at (301) 778-9950 or by leaving an online request for a consultation.